I am rerunning a few of my earlier posts over the next few weeks. This one, about critical thinking skills, was from February, 2014. I thought it was especially relevant during the current U.S. election cycle. We live in a society of people who self-select their news. If one source’s slant doesn’t lean in the right direction, simply choose another that does. We also tend to socialize, and even live in communities, with like-minded people. That way we don’t have to question our beliefs or, god forbid, alter them in any way. I guess this makes us feel comfortable in our convictions, but does it make us better citizens? Does listening to only one side of a story before deciding on its merits support our intellectual integrity? I think most would agree that it does not (although we still do it because, really, it’s others who need to open their minds, not us… right?). Non-critical thinking makes us more vulnerable to scammers. If we trust a source so completely that we never question its accuracy, why would we question the authenticity of an “exclusive offer” from the same source (or one of its advertisers)? Even better if the offer is also couched in language that supports our biases. If we are distrustful of something or someone, are we not more likely to respond to something that reinforces our suspicion? The enemy of scammers and hoaxers is common sense, questioning, and research. 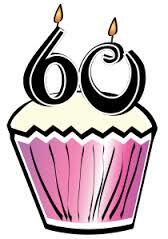 GratiTuesday: So long, fifties, it was fun! Tomorrow, I will no longer be in my fifties. A new year and a new decade of my life begins. I’m not even sure how long I can legitimately claim to be “middle-aged” anymore (although I suspect that I’ll cling to that designation until my dying breath). At least up until today, I’m not too freaked out about this milestone birthday. Tomorrow could be a whole different story, but right now I feel optimistic. At 59, I’m generally healthy and happy, and I have no reason to think this will change when my odometer clicks over to 60. My fifties started out not with a bang, but a whimper… mine. On the day of my 50th birthday, I had a 4-hour meeting with a client that required a 3-hour drive each way. I felt sorry for myself the whole day and my mood was only slightly brightened when my husband greeted my return with a hug and a kiss and a homemade cake. Poor me. Fortunately, that inauspicious start was not a harbinger of things to come over the next decade. I soon left that good but uninspiring job for a better one which allowed me to learn a lot of new skills, work with some amazing people who became much more than colleagues, and gave me a strong sense of career satisfaction. I am grateful that I was given the opportunity to work for a great company and with some outstanding individuals. My fifties included quite a few travel adventures, including a trip to Cuba that I had dreamed about since I was in my thirties. I also got to explore parts of the United States that I hadn’t been to before, and re-visited other areas that warranted a second – or third – look. I am so grateful that my husband, traveling companion, and best friend are all wrapped up in the same package. I took up a few new hobbies in my fifties, including blogging and photography. I am grateful for the generous help and encouragement I’ve received from others as I struggle to improve. I’m also grateful for the plethora of free, or nearly free, classes and seemingly limitless online resources that have helped to shorten my learning curve. Of course, my fifties contained a few bumps and bruises along the way. Four years ago I lost my beloved 92-year-old father after many years of failing health. As sad as it was to say good-bye, I am so grateful that I had him in my life for so long. I, along with my brothers, had the privilege of caring for him as he declined and I am profoundly grateful that I was by his side to surround him with love as he slipped away. My fifties is also the decade that I shut the door on the 8 – 5 world and opened the mystery door labeled “retirement.” Although it has been less than two years since I stepped over that threshold, I can’t say that I’ve ever had a second thought about that decision. I am grateful that I was able to leave work on my timetable and while young enough to experience the joys and take advantage of the opportunities retirement offers. Author RetirementallyChallenged.comPosted on January 5, 2016 January 5, 2016 Categories Aging, Journeys, Learning New Things, Photography, Retirement, Staying connectedTags aging, Birthday, Gratitude, Having Fun, Health and Happiness, Learning new things, looking forward, Retirement, sixty, Travel32 Comments on GratiTuesday: So long, fifties, it was fun!